Here is my next project. 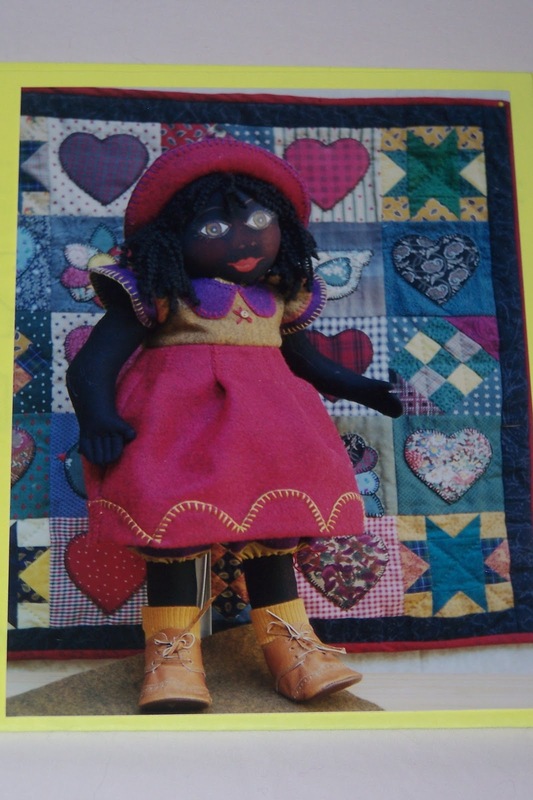 A cloth doll pattern by Lynn Hyland of Li'l Bloke's in Bendigo, Victoria (Australia). This is not my finished doll, but a photo of Lynn's. 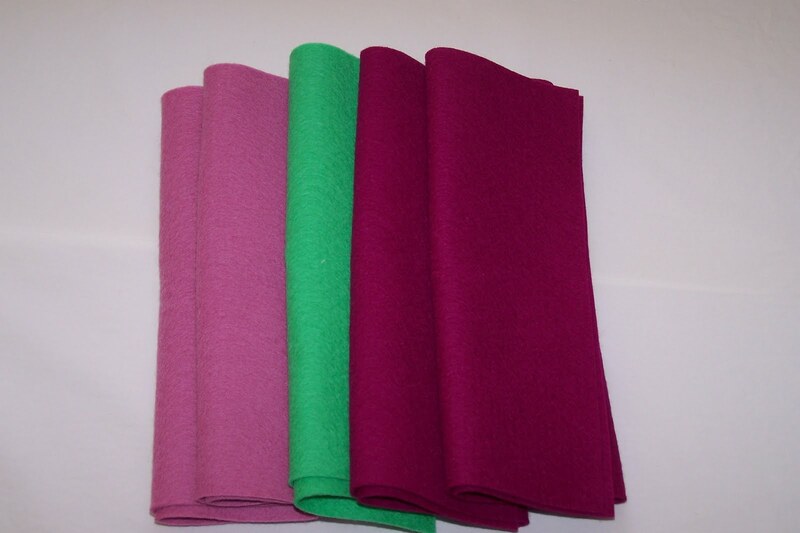 I bought this 100% wool felt for the clothes at Mary's shop in Gisborne. For this design, some of the pattern pieces are glued or traced onto cardboard and then traced on to fabric. 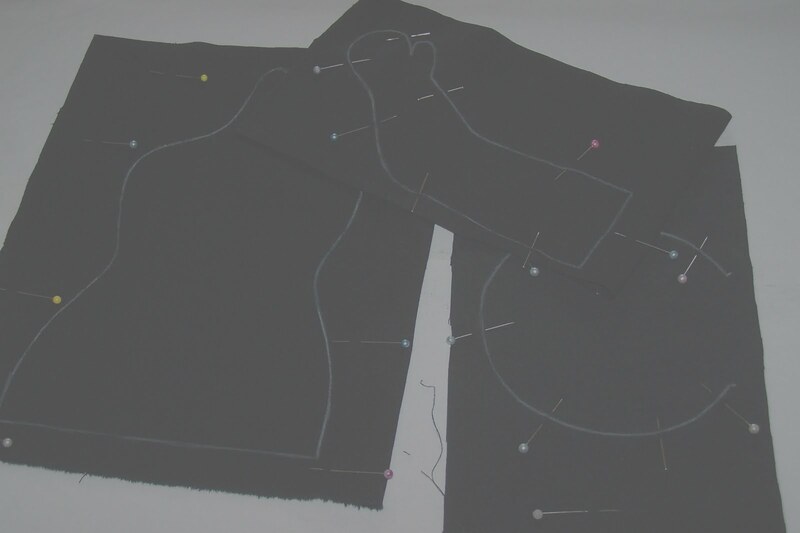 The tracing line on the fabric is used as the sewing line. I have lightened the photo so that you can see the sewing lines. I have modified most of the doll patterns that I have used this year, but for this one I plan to stick to the instructions.